This is our blog page. Here you can read a wide variety of articles related to the harmful effects of tobacco use, along with helpful tips and techniques for quitting. More in-depth information related to who we are, what causes our smoking addiction and how to beat it can be found by clicking on the various navigational links above. November 12, 2015 posted by Len B. My good friend was suffering with intense back pain for many years. He had been putting off much-needed corrective surgery (to include a spinal fusion) until he could stand the pain no longer. Then, just a few short days before his scheduled surgery was finally to take place, he received a call from his surgeon. The doctor had just been informed by the insurance company that they would not pay for the surgery after all. The reason? Because my friend had not quit smoking. Spinal Fusion is a surgical procedure used to join together bony segments of the spine (eg, vertebrae). In order for fusion to heal, new bone growth must occur, bridging between the spinal segments. Sometimes fusion is combined with another surgical technique termed spinal instrumentation. Instrumentation consists of different types of medically designed hardware such as rods, hooks, wires, and screws that are attached to the spine. These devices provide immediate stability and hold the spine in proper position while the fusion heals. Spinal fusion (also termed arthrodesis) can be performed at the cervical, thoracic, or lumbar levels of the spine, taking months to heal. The long-term success of many types of spinal surgery is dependent upon successful spinal fusion. In fact, if the fusion does not heal, spinal surgery may have to be repeated. A failed fusion is termed a nonunion or pseudoarthrosis. Spinal instrumentation, although very strong, may even break if nonunion occurs. Needless to say, spine surgeons try to minimize the risk of this happening by prescribing a bone growth simulator. 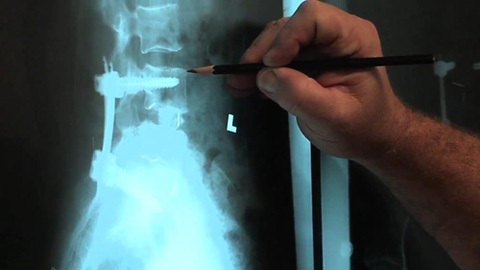 Certain factors have been found to affect the success of spinal fusion. Some of these factors include the patient’s age, underlying medical conditions (eg, diabetes, osteoporosis), and cigarette smoking. There is growing evidence that cigarette smoking adversely affects fusion. Smoking disrupts the normal function of basic body systems that contribute to bone formation and growth. As mentioned previously, new bone growth is necessary for a fusion to heal. Research has demonstrated that habitual cigarette smoking leads to the breakdown of the spine to such a degree that fusion is often less successful when compared to similar procedures performed on non-smokers. Cigarette smoking compromises the immune system and the body’s other defense mechanisms, which can increase the patient’s susceptibility to post-operative infection. Clearly, cigarette smoking is detrimental to spinal fusion. People who are facing fusion or any spine surgery should make every effort to stop smoking. Quitting the habit beforehand will decrease the associated risks and increase the likelihood of a successful spinal fusion surgery. April 16, 2015 posted by Len B. As if smoking isn’t bad enough for those of us who are old enough to know better. 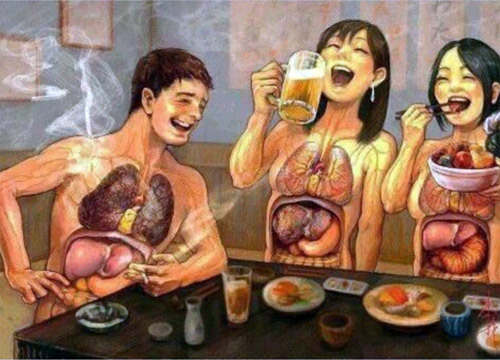 Despite the fact that we set a bad example to our young ones when we smoke around them, we’re also exposing them to all of the harmful chemicals that we’ve chosen to ingest into our own bodies. Is it really fair that we should inflict them with Emphysema, Bronchitis, Asthma, and a host of other chronic diseases due to our own selfish behavior?